The Gunslinger can choose to use either a Fire build or a Shadow build. Shadow has main DPS from RMB which does dmg every single sec. The Fire has main DPS from his F skill, but it is not static damage but stack to use. This article will share the lasted popular build guides on Fire and Shadow, some PvP and PvE basic build guides for you. 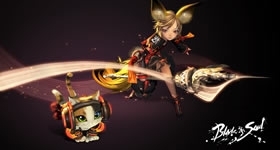 Additionally, if you find yourself without time on leveling, choose blade & soul power leveling on U4GM will be a good decision for you. 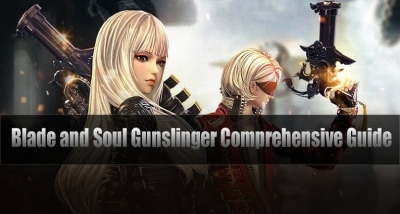 As more and more players are reaching level cap in blade and soul, so I would like to share some video guide on Gunslinger for leveling. I hope it helps most of the new players. Created by Parallel Universe Gaming, the video provides an overview of all the skills for fire build and a basic rotation at level 43. And the creator also discussed several of the ongoing events like the Tower of Memory, Leveling Event, Trove, and Jyansei's Jackpot. The Blood Raid outfit is also shown. For Gunslinger, both fire and shadow are viable. Fire may have more advantages with tab piercing style but you still can get to gold with shadow build with air combo + 4. Which build should you choose, which build guide is for you, you can check out the following video guide. Created by Nodah, in this video, Weapon used is kunlun stage 9 and short cd soul (8sec) and none elemental accessories (legendary) and full vortex bopae set fused with crit, blue combined badge used for shadow, yellow combined badge used for fire, and basic black tower mystic badges. Blue bracelet for fire, and orange bracelet for shadow. The video creator said that for shadow he had the PvP necklace on and he didn't even notice or else he would have done an extra 5-10k DPS most likely. We should all be pretty close to getting our first soul badge. Created by keroppi, this video is a short break down on what badges gunners should get and why. 1. If you check the 2 new badges which can be fused with Holy Fire (Ancestral Soul Badge & Limitless Soul Badge) both are quite strong in their own way and really compliments the way the fire build is played. 2. 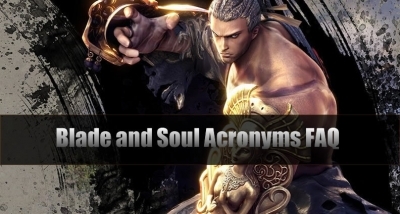 Primal on the other hand cannot be fused with the new soul badges which leave only Legacy Soul Badge as a possible fuse. Conclusion: I personally will be going to Holy Fire due to my ping & more options when the level 55 content hits on December 6th. PS: When you get 8 pieces black tower/ 3 pieces Vortex Temple it gives 30% cooldown reduction on your Tombstone (Tab skill). That will help a ton in DPS if you decide to go Primal. Created by keroppi, here is the long awaited Fire Spec Review. Created by iNubs Gaming, this is the basic rotation video for the new class, Gunslinger/Gunner/Maestro. This video contains Fire Build DPS rotation. Hope this guide helps you to learn how to play Gunslinger/Gunner/Maestro. This guide excludes skill upgrades and badge effects. 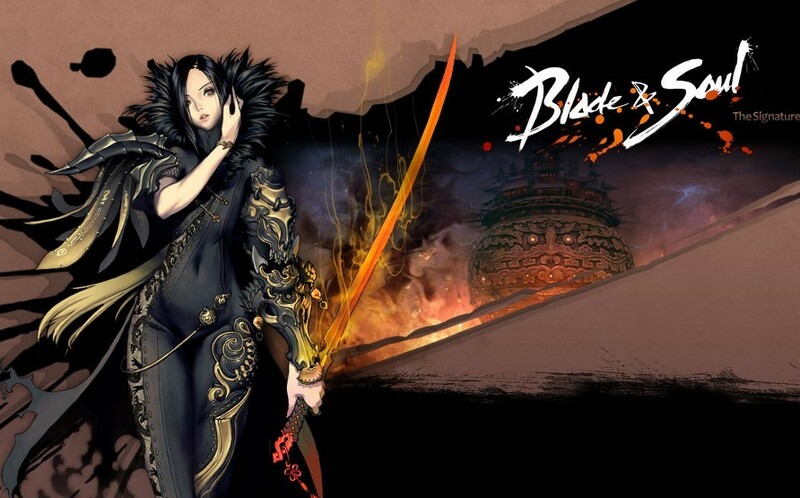 Created by keroppi, it is a shadow gunslinger review. I really enjoyed every minute of this video, really complete and thorough, with a lot of skill explanation. 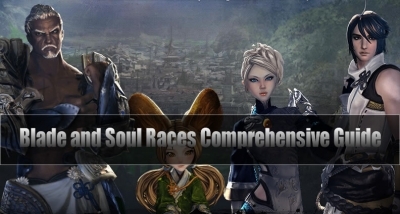 Looking at the skill trees for a class never really do it justice in terms of understanding the rotations and the nature of the class in general, this guide has been quite enlightening. Created by iNubs Gaming, this is a basic rotation video for the new class, Gunslinger/Gunner/Maestro. 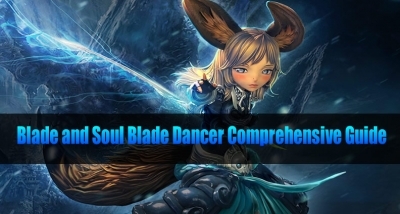 This video contains Shadow Build DPS rotation. Hope this guide helps you to learn how to play Gunslinger/Gunner/Maestro. This guide excludes skill upgrades and badge effects. Created by Leroy T, this Gunslinger (Gunner/Mestro) Rotation is demonstrated in entry-level gear without any HM skills. There's actually a better Opener in a dummy parsing scenario (for this gear level). This video creator still contemplating if he should bother with making another video just for the slight modifications to the Opener. 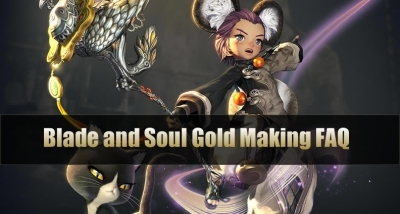 Two days ago, June 28, the Irontech Forge update was installed in the English version of MMORPG Blade & Soul along with which new dungeons and various significant game improvements appeared in the game. In addition to many new features and improvements, the Irontech Forge dungeon became available and the system of gem changed. A Kung Fu Master's true power is their ability to catch an opponent's attack, divert the blow, then counter-attack in the blink of an eye, in addition to their mighty punches and kicks that can lay waste to enemies. 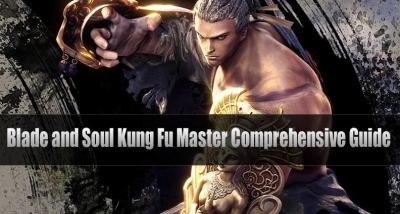 The Kung Fu Master is recommended only for the more experienced due to the precision needed to switch between offensive and defensive abilities.